The Sept. 27 episode of Keeping Up with the Kardashians is poised to be an emotional one. In an exclusive sneak peek from E! News, Kim Kardashian is seen bringing Kris Jenner a collection of men's clothing, which Caitlyn Jenner had recently decided to get rid of. Kris, seeing Caitlyn's old clothes, appears to be on the edge of tears throughout the clip. "It makes me really sad," she says, while going through the various garments with her daughter. Later in the clip, during a confessional, Kris expounds upon her struggle to process and accept Caitlyn's transition. "I think going through something like this is difficult because the whole thing is something I've never dealt with before, and I realize that I still have a long way to go before I can process all of this and understand it. And seeing these clothes and realizing that Bruce has thrown them out makes it real." 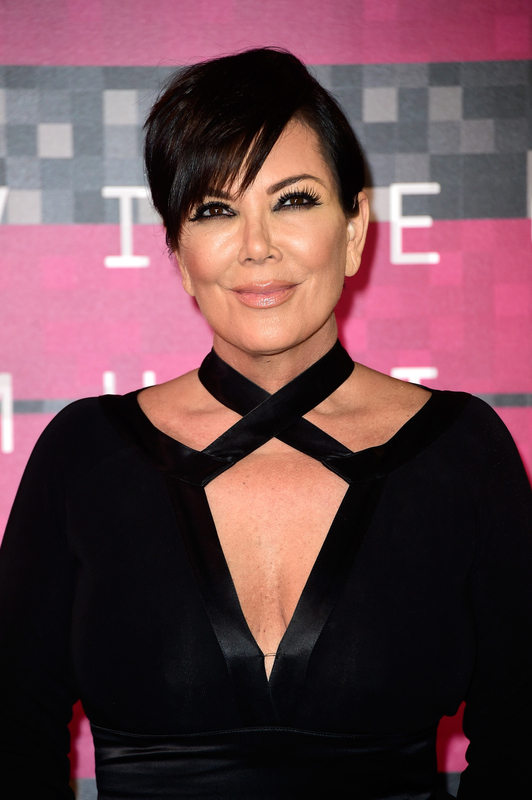 The heartrending clip ends with Kris tearfully embracing Kardashian, saying, "It's just crazy that he's gone." While Kris had kept relatively quiet during the early stages of Caitlyn's transition, she recently spoke to Access Hollywood about her continued difficulty with acceptance, particularly with calling her ex by her new — and now legally changed — name. "I say 'Jenner,'" she told the outlet. Yet despite Kris' difficulty with the transition, she and Caitlyn have made progress in their relationship. Talking to US Weekly, Kris called Caitlyn's acceptance of the Arthur Ashe Courage Award "amazing and very brave." The exes have also slowly begun to spend time together again, according to Access Hollywood. Caitlyn's work in the transgender community and brave decision to come forward as her authentic self is inspiring. She more than deserves all the accolades she has received, and shall undoubtedly continue to receive. That being said, I can also appreciate Kris' struggle, while acknowledging that I cannot fully empathize with the myriad of emotions she must be experiencing. Kris was married to the person she knew as Bruce for over 20 years, and although that individual is certainly not "gone," there are several major differences to adjust to. It appears that Kris is doing everything she can at this time to come to a place where she can wholly accept Caitlyn's transition. Still, it'd be nice to see her take an even bigger step in her support for Caitlyn by calling her ex by her new name and using female pronouns when referring to her. Here's hoping she gets to that point soon. For now, it's inspiring to see that both Jenners have been keeping their family's well-being in mind during what must be a difficult time for everyone involved.